The last few weeks have been devoted to creating a fun corporate profile for this Canadian company that is poised to go international. DMTI Spatial is in the business of "location intelligence". 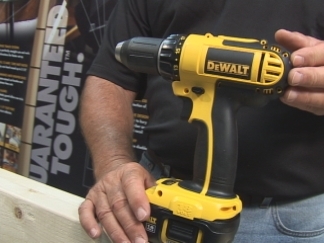 I'm in the midst of shooting three product videos for Black & Decker's DeWalt line of products. "Thanks for your professionalism and for four entirely stress-free days!" Spent a couple of days with a crew collecting funky images for a funky, high powered montage. We followed product from the factory to the warehouse to the store -- which included a ride with one of those middle of the night delivery guys who get it all to store shelves so you can have your bread fresh each morning. "...the bread video was crazy-good." 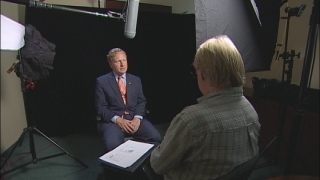 This week, I got started on a series of interviews with TD Canada Trust executives. They will be part of a package that will play at a reward and recognition event in December. 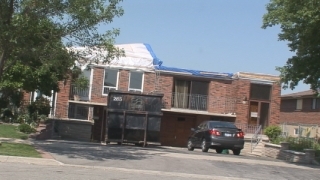 Last month, at least five twisters touched down in Southern Ontario, damaging hundreds of homes. Yesterday, I began chronicling the recovery and restoration efforts of one homeowner, whose roof was swept away, rendering the interior of her house unlivable. I've been working on a fun video promoting the services of a Realtor, as well as promoting the neighbourhood in which he lives and represents. Revised in early 2011, see it in action on YouTube. Just came back from the SISO conference in NYC. I'm creating a couple of videos for the organization. I participated in the conference as a Gold Sponsor... which is fancy way of saying I went there in the hope of drumming up some business. In fact, while we're on the topic, the elevator pitch for my exposition and trade show services is now a beautiful pdf. A video promoting a future SISO conference can be viewed here. I've been combing through my archives and making electronic versions of a lot of older projects. (You know, from the days before the internet ruined the world). This way I can easily send out copies of relevant projects to interested parties via a simple web-link. Along the way I got the idea to make a version of my demo reel that only showed excerpts from Training Videos. Many of these clips have never appeared on a reel of mine. Not sure why. I've been working on a couple of projects for the Insurance Bureau of Canada. I've been working on and off for them since early 2003. 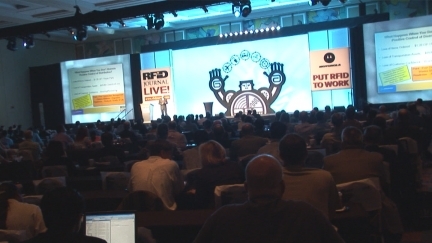 Spent the week in Orlando, Florida at the annual RFID Journal LIVE! conference. For the fourth straight year, I'll be creating a fast paced, documentary-style, promotional video that will be embedded on the RFID Journal website.